in 1982 I was 8 years old. Nintendo table top games were all the rage. 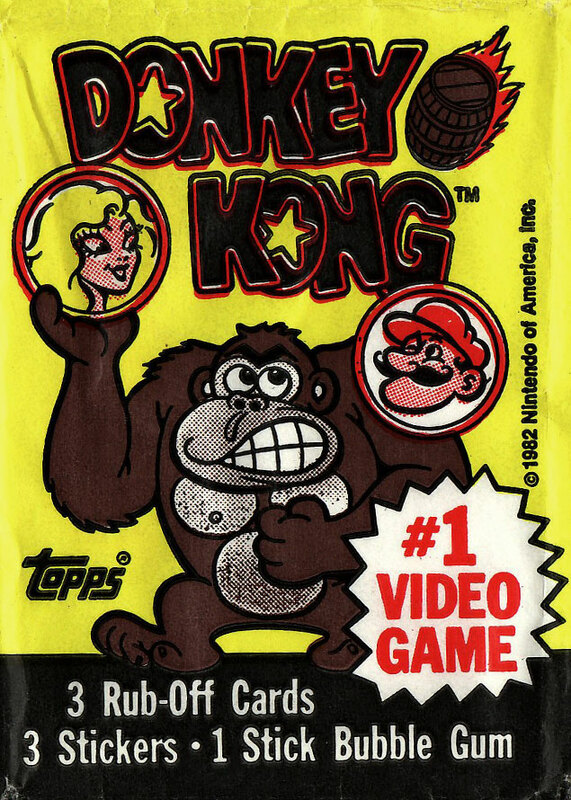 I owned the Donkey Kong version and spent many many hours playing it. I have longed to own one again and will do my best to track one down. 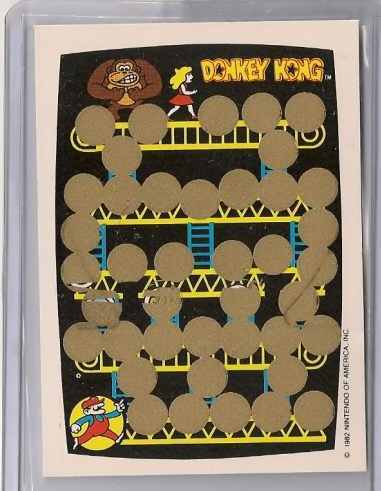 That same year, Nintendo teamed up with Topps to produce a Donkey Kong trading card series. You can see the wrapper below. By some miracle, I happened to find one of the Donkey Kong cards unscratched, in my trading card boxes. Instantly I was overwhelmed with memories of playing with my friends on my table top game and opening packs of these cards. Below is one of those cards. I have kept this in my personal collection. It may not be worth much in terms of actual value. The real value lies in the memories that resurfaced after finding this card. I am 37 years old, fully immersed in the craziness of life, job and family. It is important to take a few minutes to take a break, write a short blog post and enjoy the memories of yesteryear. Thanks for reading. Wow, definitely a trip down memory lane! My wife and I were trying to convince our kids that DK was the BEST – GAME – EVER the other night over dinner…didn’t go so well LOL.